There are several ways that you can share the time, money and talents that God has blessed you with through the Rock! 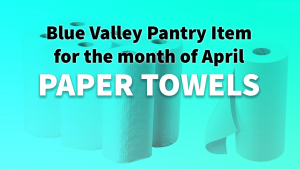 Each month we collect a specific item to donate to the Blue Valley Community Action pantry in Seward. Each week during our worship gathering an offering is collected. This is a way for members of The Rock to put a portion of their income to work through the church. Visitors should never feel obligated to contribute anything when the offering basket comes around. Joyful Response is a way for individuals to make their stewardship commitment to God through The Rock on a regular basis. They can determine the start and stop date of the giving as well as the intervals of payment. This is a simple way for each of us to support the ministry through The Rock. People can designate their gifts to be split out towards the general fund or maybe they want some money to go into a building fund or outreach fund.